World Cord Sets : What is a GFCI and how can it save your life? What is a GFCI and how can it save your life? What do GFCI and RCD stand for and how do they work? GFCI (Ground Fault Current Interrupter) or RCD (Residual Current Device) is a device that shuts off an electric power circuit when it detects that current is flowing along an unintended path, such as through water or a person. Meaning, if you drop your hairdryer in the bathtub, the GFCI will automatically detect that current (amperage) is being lost along an unintended path, and will automatically break the electrical circuit and stop you from being electrocuted. GFCI's and RCD's work by monitoring the flow of current through the circuit, and, when a loss of current is detected (the amount of loss needed is based on the 'Trip Level' rating of the GFCI, typically 4-6 mA), the GFCI trips and breaks the circuit, ensuring that electricity stops flowing to the equipment/person on the end of the cable. The difference between an Auto-Reset and a Manual-Reset GFCI/RCD can be the difference between life and death. 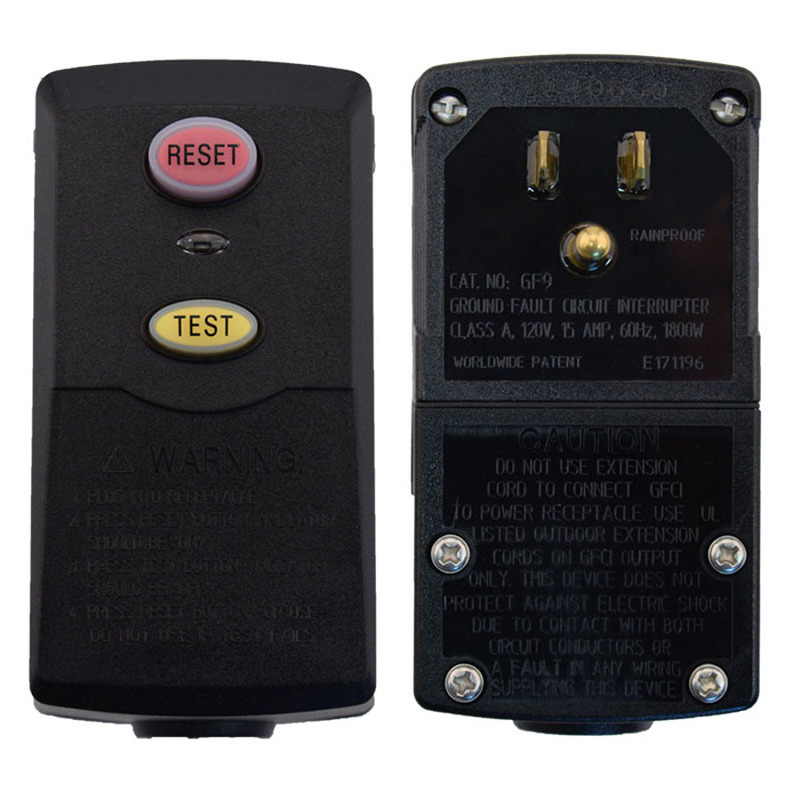 An Auto-Reset GFCI will automatically reset itself after being tripped. These are typically used in applications with unattended equipment such as refrigerators and freezers. A Manual Reset GFCI, on the other hand, must be reset by the operator by pressing a button to resume operation of the equipment. This is critical in applications involving dangerous equipment such as power tools. If you were to use an automatic reset GFCI with a power tool, the tool could begin operating at any time after the GFCI had tripped. This means that if you walk away and come back, are fiddling with the tool, and then all of a sudden the GFCI resets, you could get seriously injured by the tool. A GFCI and an RCD are essentially two different names for the same thing. GFCI's are typically found in the Americans and have a trip level of around 5mA. RCD's on the other hand, are typically found in Europe and have a standard trip level of 30 mA. Plug Head style GFCI's include the actual GFCI and the plug to connect to a wall outlet. These are commonly found on hair dryers and other small appliances typically used near water and where the distance between the user of the equipment and the outlet is not too far. Our User Attachable Plug Head Style GFCI's allow you to convert an existing, non-GFCI power cable into a GFCI power cable by cutting off the existing end of the cable, and rewiring the GFCI plug onto it using the including wiring instructions. Inline Style GFCI's are mounted 'inline' with the cable, meaning somewhere on the length of cable between the plug and the connector/equipment. 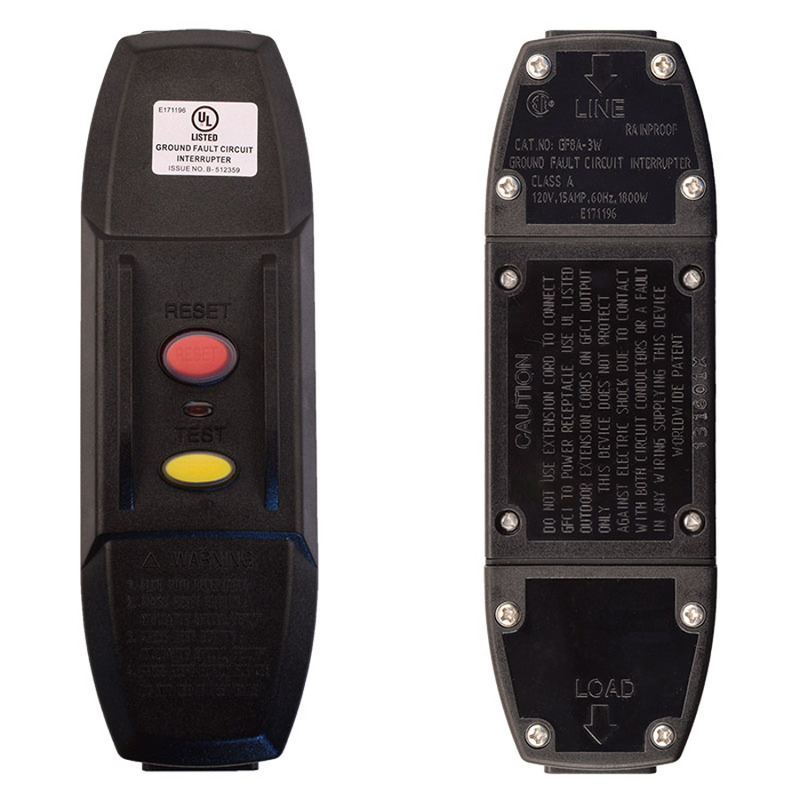 Inline styles GFCI's are frequently used with extension cords in order to keep the GFCI closer to the operator of the equipment. Is World Cord Sets Inc able to manufacturer custom GFCI Power Cables and Cord Sets? Yes! World Cord Sets, Inc is a leading manufacturer of custom, made to order power cable assemblies. We work with many OEM's to create custom GFCI cord sets for use in their equipment. Contact Us Today to get a custom quote on the GFCI/RCD power cable you need. We are a leading manufacturer of GFCI ceiling drop cords for commercial kitchens, schools, and other culinary applications.